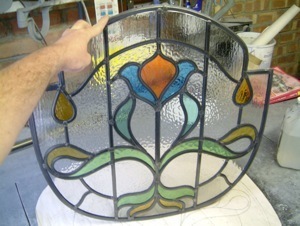 The most common question we are asked by prospective customers is, “Do you make/ restore stained glass for front doors?”. Probably fearing that their job is too small for us. 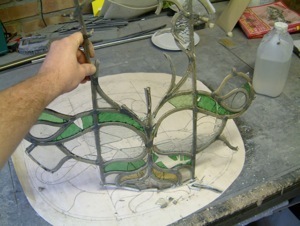 In fact the majority of our work is stained glass for front doors. 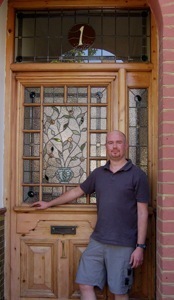 A typical job would be the restoration of an existing, damaged door panel. Or where new stained glass is required to replace plain glazing in a Victorian front door, which would originally have had stained glass. 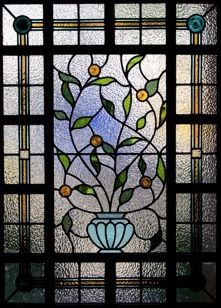 Tragically, lots of Victorian stained glass was replaced with plain glazing during the 50’s, 60’s and 70’s when stained glass was largely considered to be old fashioned. 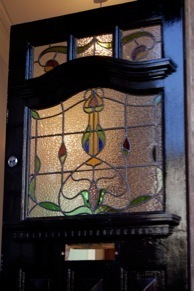 Thankfully attitudes have changed and an original stained glass front door is now considered a valuable period feature well worth preserving.